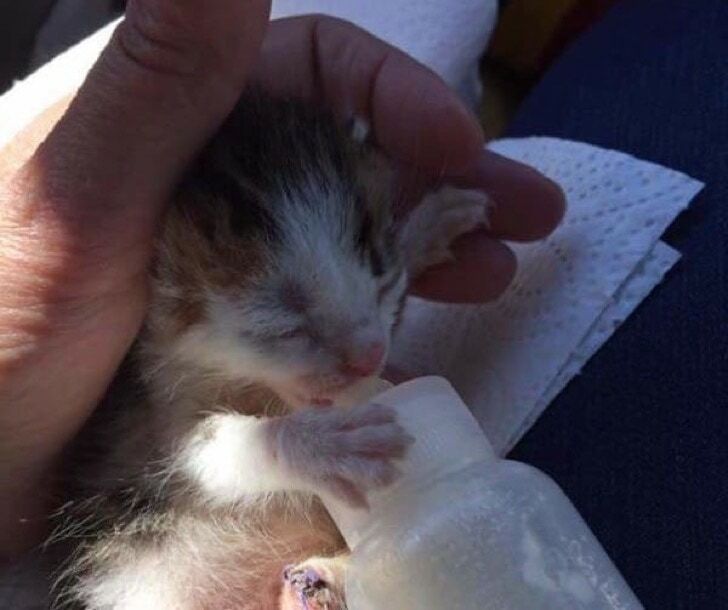 Following the tiny cries, the rescuer located a hungry, dirty, wounded, and cold kitten, but on closer inspection discovered something completely unexpected. 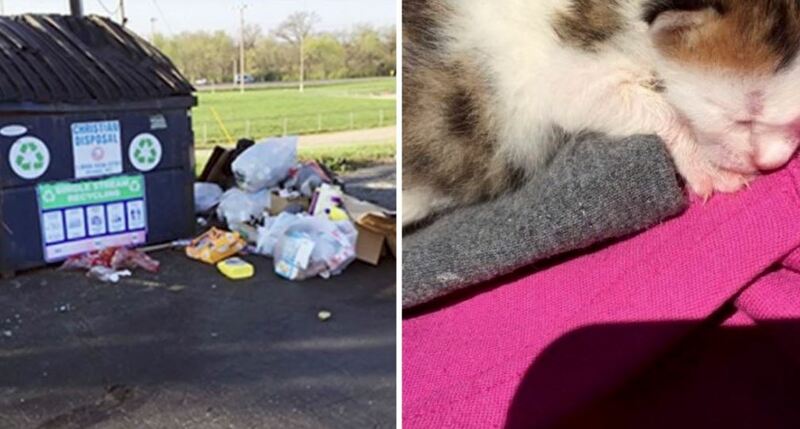 The rescuer could hear tiny cries coming from the dumpster and after much searching, he finally found a tiny kitten, hungry, dirty and cold. With eyes barely opened, he knew he had found a newborn. How long it had been in there, he didn’t know, but it had wounds all over its legs, and took the kitten, he named Martyr, directly to a vet. 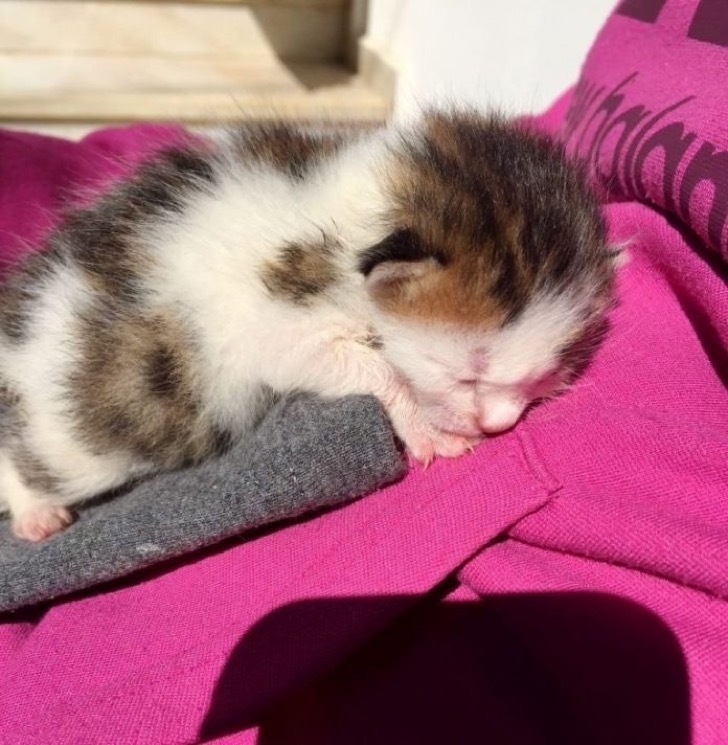 The kitten was cleaned up, given antibiotics, and kept warm. 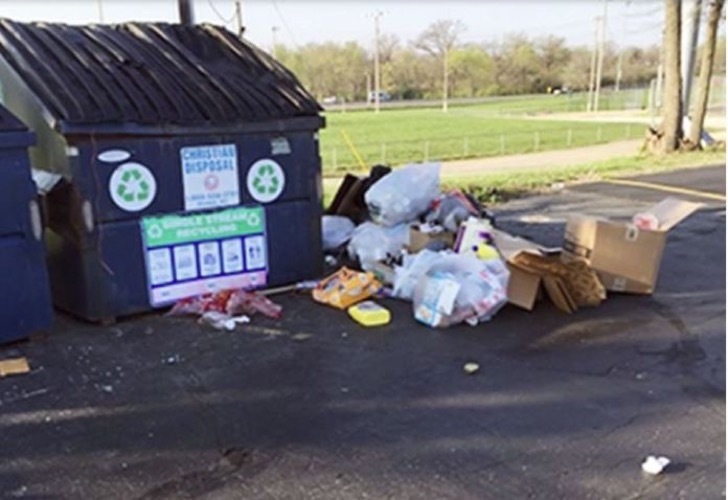 Unfortunately, there was so much damage to one of its’ legs, it had to be amputated as gangrene had set in. 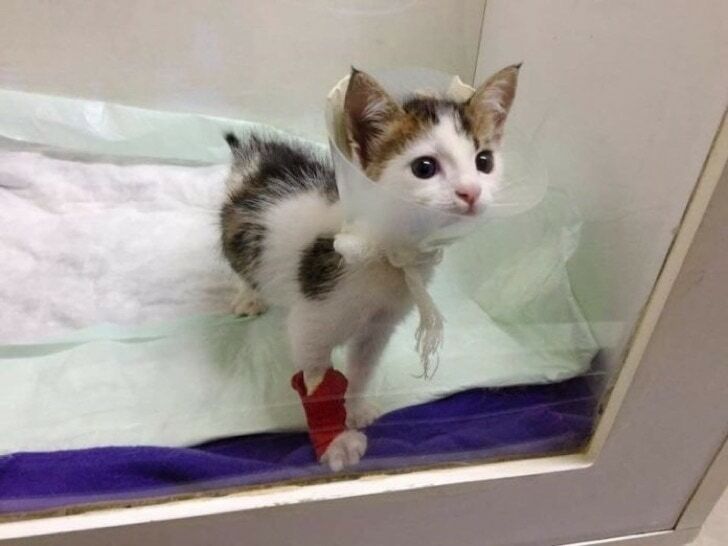 Still the little kitten was a fighter. And then something amazing was discovered. 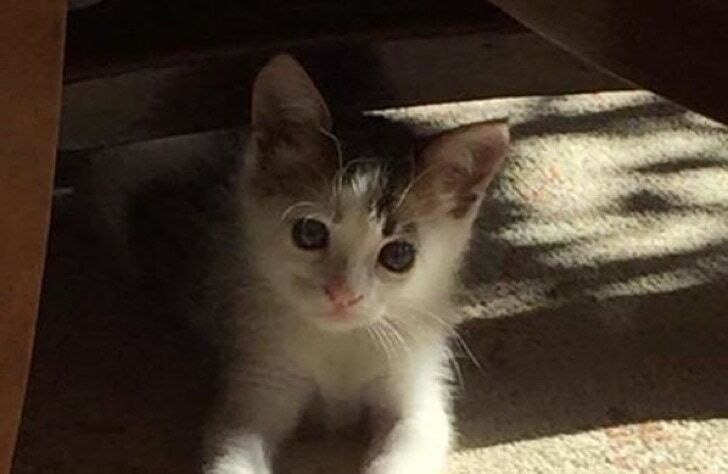 Martyr’s coloring was identified as being calico, but what made this remarkable was the kitten was a male. Calico males are rare with only 1 in about every 3,000 kittens. 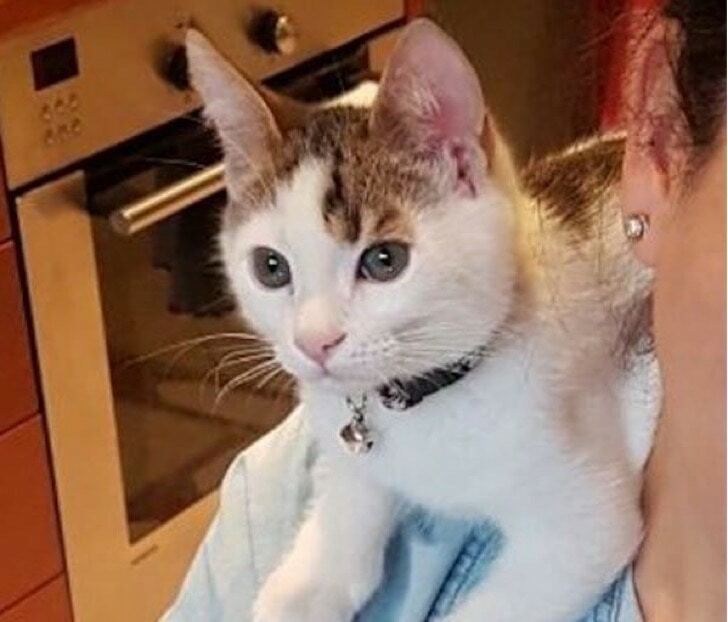 So it turns out that Martyr, who is now recovering and happily living in his forever home, appears to be an extra lucky kitten.